Despite this blog being called ‘The London MUMMY’, I don’t actually post that much on one major part of being a mother – pregnancy & babies. There is a plethora of fantastic blogs & websites more geared towards that stage (my favourite is My Baba) whereas I am more focused on activities, fashion & championing new business’s. I’m 35 weeks pregnant with my third baby, and wiggling on a birthing ball as I type. My elder two children are now the ripe old ages of seven and five – which means it has been a few years since I last went through pregnancy. And when it comes to ingenious products for mums-to- be, it seems that a lot has changed in that time. This time around, I’ve enjoyed discovering a selection of the gorgeous and useful that simply didn’t exist with rounds one and two. Here’s my edit of some wonderful finds. If you are looking for a baby shower or new mummy gift, the Sassy Bloom box ticks every box – a prettily-packaged box of goodies delivered to your (or a friend’s) door. Costing from £23 each, boxes are available for a mum-to- be in her third trimester and can then be tailored to a baby’s stage, up to the age of three. Order a one-off box, or have a box delivered monthly. 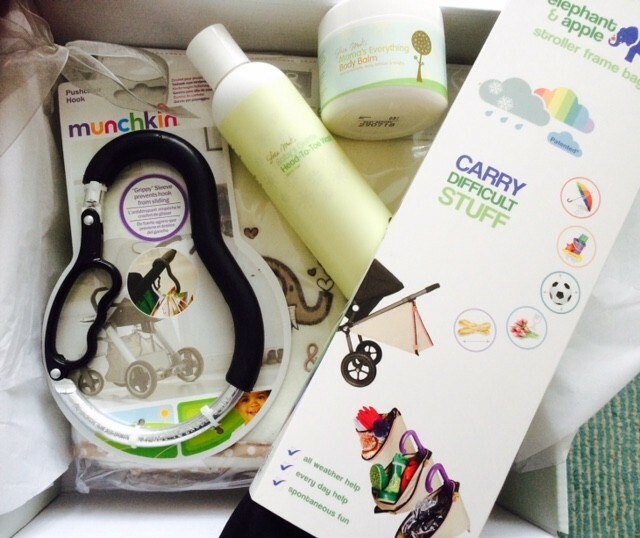 I sent off for the third trimester box, which included a stroller frame bag (for carrying tricky items such as flowers or older children’s toys on the back of a buggy), scrummy toiletries for mum and baby, a baby blanket and a buggy hook. 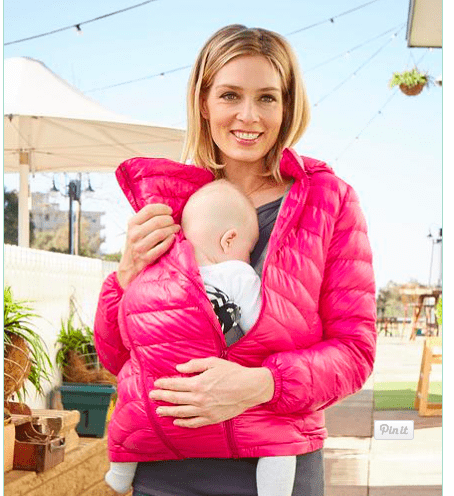 This ingenious invention is must for every fan of baby-wearing – an ultra lightweight down jacket complete with a zip-in panel to extend its size for wear during pregnancy, or for use while your baby is strapped to your front in a sling. The panel can also be removed all together, turning it back into a normal jacket again, so this really has potential for longevity. The jacket packs neatly away into a small drawstring bag – I’ll be keeping mine in my changing bag at all times. Currently available at the discounted price of £76.30. Seven years ago, buying a nursing bra meant purchasing a functional, and quite frankly, very unattractive piece of underwear. Now there’s a host of gorgeous nursing bras to choose from. I love Amoralia’s Allure in ruby – a sumptuous, deep burgundy shade with black lace detail and velvet straps. It features a removable flexi underwire, enabling you to decide whether or not you want that extra shape or support. It’ll only set you back £39. Not so glam perhaps, but the reality is that every mum and mum-to- be has to do those annoying pelvic floor exercises. 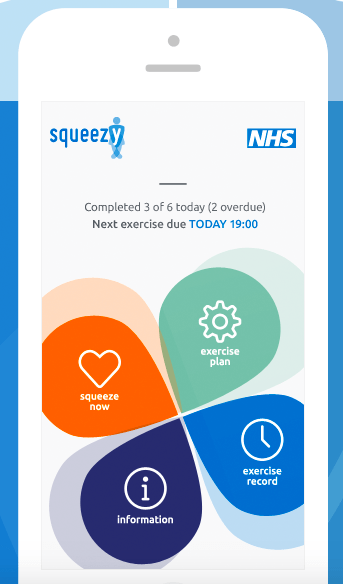 Recommended by my physiotherapist, this handy little NHS app costs just £2.99 and will not only remind you to do your squeezes at set times each day, but also give you instructions to follow for each set of exercises. Ta da! Exercises done. Almost. If you are considering private medical care for your pregnancy and delivery, you may like to pay a visit to London’s first Private Pregnancy Show. 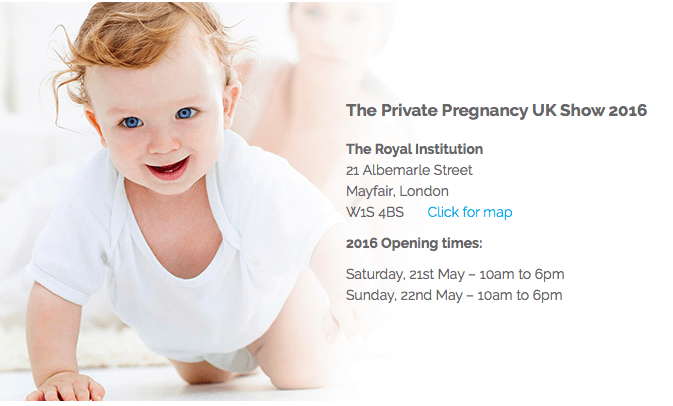 Taking place from 21-22 May 2016 in Mayfair, the show will host workshops and seminars from leading UK doctors, midwives and motherhood specialists on the benefits of private care for pregnancy and childbirth, breastfeeding, complementary approaches to birth preparation, returning to work and more. Tickets are £20. 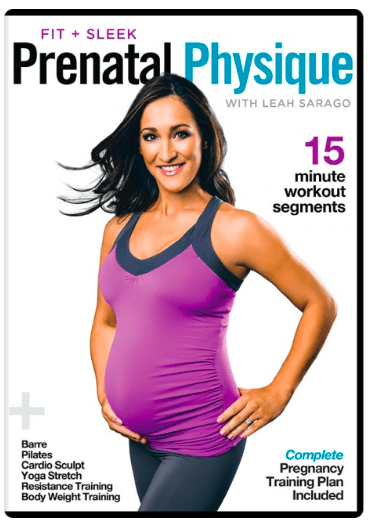 Somehow, sweating it out in the gym with an enormous bump on show has never appealed to me, so in pregnancy I turn to exercise DVDs. Five years ago, Davina McCall’s ‘My Pre and Post natal workouts’ DVD was pretty much the only acceptable home pregnancy workout. Now there’s a much bigger selection of DVDs available, and my favourite is Leah Sarago’s. This is made up of 15-minute segments – select which ones you want and put your own workout together. For me this offers a strong balance of challenging an expanding body, building strength and preventing injury. 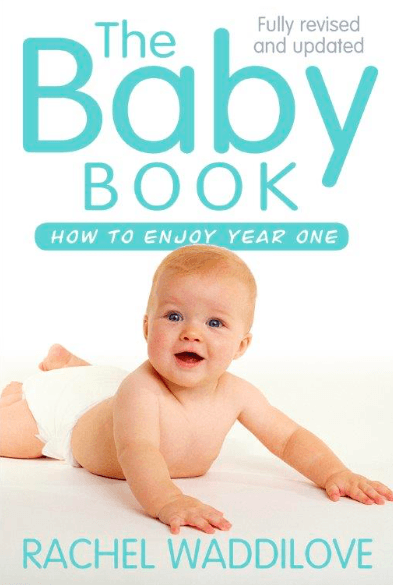 I can’t strictly say I didn’t know that this book existed when I fell pregnant this time – I had it in an earlier version and used it endlessly with my other two babies. But Rachel, who has extensive experience as a maternity nurse and baby sleep expert and has helped Zara Philips, Gwyneth Paltrow and Minnie Driver with their babies, has recently launched a fully revised and updated edition. This is another fabulously practical gift that I would heartily recommend for any new parent – a hamper or vouchers from the makers of delicious homecooked freezer meals at Cook. Parents of new babies can receive the discount for six months after their baby’s arrival. Here’s a product that I can’t quite believe wasn’t invented earlier – the chemical-free baby wipe. 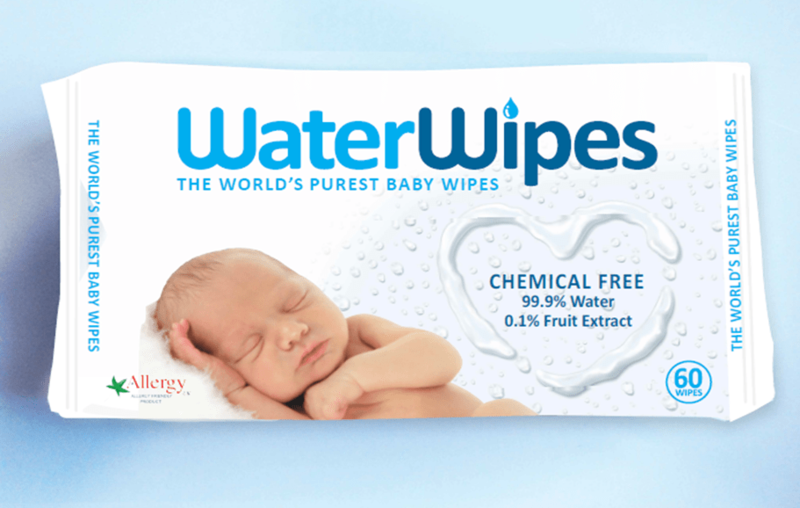 WaterWipes contain 99.9% water and 0.1% grapefruit seed extract, a natural skin conditioner. Available from Boots, Superdrug and Tesco’s among other retailers, I’ll be buying these for use on baby’s delicate skin. Every mum will experience the baby blues at some stage during the early days and weeks with a newborn. 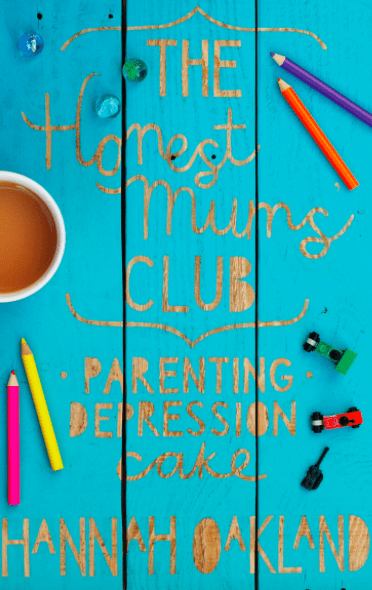 But at least one in seven mums go on to do battle with postnatal depression. In this newly-published book, Hannah Oakland bravely shares her experience of this often-hidden illness, approaching a serious topic with much-needed honesty and humour.